Kudos 365, Inc., a Washington corporation, (“Kudos 365”) provides information on www.kudos365.com, www.kudoscommunity.com and other web sites and mobile App(s) (together with the underlying source HTML files that implement the hypertext features, (this “Site”) exclusively under the following Terms and Conditions. This Site is offered by Kudos 365 on the express condition that you accept, without modification, and abide by these Terms and Conditions. Your access and use of this Site is conditioned upon your continued compliance with these Terms and Conditions. Please read these Terms and Conditions carefully, as your use of this Site constitutes your acceptance of these Terms and Conditions. Kudos 365 reserves the right to change the Terms and Conditions any time by reasonable notice, including, without limitation, by posting revised terms on this Site (which shall constitute reasonable notice), and such amended terms shall be binding upon you; thus, you should consult the most recent version of these Terms and Conditions each time that you view this Site. IF YOU DO NOT AGREE TO THESE TERMS AND CONDITIONS, YOU MUST IMMEDIATELY TERMINATE YOUR USE OF THIS SITE. 1.1 Unless otherwise indicated Kudos 365 or its licensors holds the copyright to all materials on this Site, including without limitation, photographs, text, graphics, logos, icons, images, content, audio/visual clips and design (the “Materials”). Additionally, unless otherwise indicated and excluding the trademarks, slogans and logos posted by our Sponsoring Businesses, Kudos 365 owns all of the trademarks, slogans and logos (collectively, the “Marks”) used and displayed on this Site. Except as otherwise set forth in these Terms and Conditions, no material from this Site (including, without limitation, the Marks), may be copied, reproduced, displayed, republished, downloaded, posted, digitized, translated, modified, transmitted, distributed or commercially exploited in any way. Any unauthorized use of materials contained on this Site may violate copyright, trademark and other laws. Kudos 365 retains all rights not expressly granted, and nothing in these Terms and Conditions constitutes a waiver of any rights under copyright laws or any other federal, state or local law, regulation, ordinance or treaty. Nothing in these Terms and Conditions should be construed as conferring by implication, estoppel or otherwise, any license or right under or to any intellectual property right, including without limitation, any patent, trademark, service mark or copyright of Kudos 365 or any third party. 1.2 No part of this Site, including but not limited to materials retrieved therefrom and the underlying code, may be reproduced, republished, copied, transmitted, or distributed in any form or by any means. In no event shall materials from this Site be stored in any information storage and retrieval system without prior written permission from Kudos 365. 1.3 Use, duplication, or disclosure by or for the United States Government is subject to the restrictions set forth in DFARS 252 .227-7013(c)(1)(ii) and FAR 52 .227-19. 1.4 You further acknowledge (a) that you are not under the age of 13; (b) if you are under 18 years of age you have your parent’s or guardian’s permission to order. 2.1 You are granted a limited, revocable, and nonexclusive right to create a hyperlink to the home page of this Site or a subsequent page so long as the link does not portray Kudos 365, its affiliates, or their products or services in a false, misleading, derogatory, or otherwise offensive matter. You may not use any Kudos 365 logo or other proprietary graphic or trademark as part of the link without express written permission from Kudos 365. 2.2 This Site or the Materials may include links that will take you to other sites outside of this Site (the "Linked Sites"). The Linked Sites are provided by Kudos 365 to you as a convenience and the inclusion of the links do not imply any endorsement by Kudos 365 of any Linked Site or such Linked Site’s associated services. Kudos 365 has no control of the Linked Sites and you therefore acknowledge and agree that Kudos 365 is not responsible for the contents or services of any Linked Site, any link contained in a Linked Site or any changes or updates to a Linked Site. You further acknowledge and agree that Kudos 365 is not responsible for any form of transmission (e.g. webcasting) received from any Linked Site. 3.1 Individual – (“Members”) This membership is free of charge. Depending on the specific business settings, Members may visit participating businesses physical locations, business web sites or business's Facebook pages to play (Verified by a “play now” click) win and redeem Offers, and invite other members to join this Site. the content does not contain viruses or other computer codes, files or programs which are designed to limit or destroy the functionality of other computer software or hardware. designed to limit or destroy the functionality of other computer software or hardware. You warrant to Kudos 365 that, as a Business, in relation to any Offer (as defined below) you issue and sponsor, you agree to absolve, release and hold harmless Kudos 365 and their affiliates, administrators, partners, directors, employees, agents and representatives of any responsibility, claim, loss, damage or expense of any nature whatsoever (including reasonable attorneys’ fees) directly or indirectly related to your Offer including, and without limiting the generality of the foregoing, all damage related to a Member’s participation or attempting to participate in your Offer, attributing, accepting or using the Offer, and/or related to a personal accident claim based in public law, defamation or invasion of private life or any material damage Kudos 365 reserves the right to deny or terminate any business membership at any time for any reason. You authorize Kudos 365 to share and post on your behalf from time to time by sharing some of your postings made on Kudos 365 with other social media sites (such as Facebook or Twitter) or to embed or share on kudos 365 postings made by you in other public mediums including social media sites such as Facebook or Twitter. Any of these postings or social media sharing done on your behalf is done solely at Kudos 365 discretion without obligation and at no additional cost to you. 4.1 Kudos 365 provides Members the opportunity to receive and redeem Offers from Participating Businesses. A Sponsoring Business that issues and sponsors an Offer is referred to as the “Sponsoring Business”. The Offers presented by the Sponsoring Businesses can be special offers or prizes (each “Offer”) Kudos 365 markets each Offer and acts as an agent in displaying the Offer on behalf of Sponsoring Business as well as automatically selecting the member receiving the Offer based on the Sponsoring Business instructions. However, the Sponsoring Business is the issuer and sponsor of the Offer. As the Sponsoring Business of the Offer, the Sponsoring Business shall be fully responsible for any and all injuries, illnesses, damages, claims, liabilities and costs suffered by or in respect of a Member, caused in whole or in part by the Sponsoring Business or its products or services. Sponsoring Business and the individual posting the Offer on behalf of the Sponsoring Business warrant that they have the full right and authority to post an Offer, and they are solely responsible for the accuracy of text printed on their Offer. 4.2 Each Offer has specific terms associated with the Offer. You agree to redeem the Offer based on the terms, restrictions and conditions associated with that Offer. Offer specific terms supersede any inconsistent terms in these Terms and Conditions, except to the extent such terms are prohibited by applicable law. Whether you choose to redeem a Offer is within your sole control and at your sole discretion. Kudos 365 does not guarantee that any member will redeem an Offer from a Sponsoring Business. 4.3 Apple Inc. or any other mobile platform are not sponsors or involved in any activity in any manner regarding any Offer. The Offer is only open to residents of The United States of America. To be eligible to win, you must be at least eighteen years old and be a resident of the United States of America. Employees of Kudos 365 and the Sponsoring Business, and any persons in the immediate family of, or living in the same household as, any of the foregoing companies are ineligible to participate in that Offer. Your participation constitutes your full and unconditional agreement to these Terms and Conditions and to Sponsoring Business’s decisions, which are final and binding in all matters related to the Offer. Winning an Offer is contingent upon fulfillment of all applicable conditions set forth in these Official Rules. Each Offer is organized and conducted by the Sponsoring Business. Each Offer begins and ends on the dates and times set forth in that Offer (the “Promotion Period”). If not otherwise noted, all Offers expire 60 days from date of posting. Kudos 365 designated server shall constitute the official time-keeping device for the Offer. The winner will be announced as set forth in the Offer. You will be entered into the Offer when you comply with the requirements set forth in that Offer. Any attempt to obtain additional entries through the use of multiple e-mail addresses, identities, registrations and logins, or any other method will void your entries and may result in disqualification at Kudos 365 and/or Sponsoring Business’s discretion. Use of any automated, robotic, or programmed device to effectuate entry is prohibited and shall result in disqualification. An Offer is not sponsored, endorsed, administered by, or associated with Kudos 365. Your submission is provided to Sponsoring Business and not to Kudos 365. Offers are not available where prohibited by law. When applicable, Kudos 365 will conduct a random prize drawing on behalf of the Sponsoring business to determine the Offer winner. Sponsoring Business’s decisions regarding the administration of the drawing shall be final and binding. Drawing winners will be notified via email, if provided, and on their Kudos 365 page(s). Offers are non-refundable, and not exchangeable for cash, credit or any other item. An Offer cannot be combined with other Offers, coupons, third party certificates or promotions. Offers cannot be used for sales, value added or use taxes, tips, prior balances, or shipping and handling, as applicable, which may be charged to you separately by the Sponsoring Business at the time you redeem the Offer. All winners shall accept Offers as they are and subject to any Terms and Conditions to the Offer. Kudos 365 makes no representation, warranty or undertaking whatsoever with respect to the Offer. Kudos 365 assumes no liability or responsibility whatsoever in respect to defect or deficiency of the Offers or the nature/consumption of the Offer and will not entertain any direct correspondence with anyone in this regard. The winner whose Offer has been forfeited or unclaimed is not entitled to any payment or compensation from Kudos 365 notwithstanding non-receipt of notification that he/she is a winner. Sponsoring Business reserves the right to cancel, suspend, and/or modify the Offer, or any part of it, if any fraud, technical failure, or other factor beyond its reasonable control impairs the integrity or proper functioning of the Offer, as determined by Sponsoring Business in its sole discretion. This promotion is void where prohibited. The decision of Sponsoring Business on all matters relating to or in connection with an Offer (including selection of the winners) will be final and binding on all parties concerned. If a Sponsoring Business' Kudos 365 account lapses or is canceled, the business will be removed from the Kudos 365 business directory and all available Offers for the Sponsoring Business are no longer valid and will be removed from this Site. Sponsoring Business may, at any time at its sole discretion and without prior notice, vary, modify, delete or add to an Offer’s terms and conditions and may also withdraw or discontinue an Offer at any time without notice or liability to any party. Kudos 365 shall not be responsible for any breaches of contract or any actions or omissions on the part of a Sponsoring Business nor be liable in any way to any party for any loss or damage arising in connection with an Offer, for any reason whatsoever, including but not limited to any delay in processing of entries, error in computing, any breakdown or malfunction in any computer system or equipment and any notice which is misdirected or lost in post. By participating in an Offer, attempting to do so, or accepting the Offer, you agree to absolve, release and hold harmless Kudos 365 and their affiliates, administrators, partners, directors, employees, agents and representatives of any responsibility, claim, loss, damage or expense of any nature whatsoever (including reasonable attorney’s fees) directly or indirectly related to that Offer including, and without limiting the generality of the foregoing, all damage related to participating or attempting to participate in the Offer, attributing, accepting or using the Offer, and/or related to a personal accident claim based in public law, defamation or invasion of private life or any material damage. Kudos 365 website, mobile UI and App include a section for Business News, which contains messages from or about participating businesses and/or from Kudos 365. Some of the messages are time sensitive and are displayed for a limited time. Members can also "Follow" a business and set up to receive Alerts from Followed businesses. Members have complete responsibility for accessing and reading these messages which may contain Offers or incentives which are time sensitive. Neither the Sponsoring Business posting the message or Kudos 365 incur any responsibility or liability for any message which is not viewed by the member. The content of the messages posted are the sole responsibility of the Sponsoring Business. These messages are not sponsored, endorsed, administered by, or associated with Kudos 365. Neither Kudos 365 or Sponsoring Business assume any responsibility for garbled, lost, late, delayed, destroyed or misdirected mail, voice messages, e-mail or any computer errors or malfunctions. Sponsoring Business does not assume any responsibility for incorrect or inaccurate capture of entry information, technical malfunctions, human or technical error, seeding or printing errors, lost, delayed or garbled data or transmissions, omission, interruption, deletion, defect or failures of any telephone or computer line or network, computer equipment, software or any combination thereof. Entry data that have been tampered with or altered are void. 7.1 This Site (including without limitation all services and content) are provided “as is” and “with all faults” without warranty of any kind and the entire risk as to satisfactory quality, performance, accuracy and effort is with you. Kudos 365 does not endorse, and is not otherwise affiliated with, any Business or Member of this Site. Further, Kudos 365 does not verify or guarantee the accuracy or validity of any Member or Business content uploaded to this Site, including but not limited to the validity of any Business Offers, news postings or Prizes. The contents of this Site are provided for informational purposes only. There is no warranty, representation or guarantee that this Site will continuously operate or be error free or that any problems will be corrected, or that any information, software or other material accessible from this Site is free of viruses, worms, Trojan horses or other harmful components. Further, Kudos 365 does not warrant, guarantee, or make any representations regarding the use of, or the results of the use of this Site either in terms of its compatibility with hardware or other software, its reliability or otherwise; and you rely on this Site solely at your own risk. Any and all other representations and warranties including but not limited to any implied warranties of merchantability and/or fitness of the product for a particular use or purpose, quality, course of dealings, usage of trade, inaccuracy in content caused by our failure to perform with reasonable care, quiet enjoyment or non-infringement are hereby expressly disclaimed. 7.2 This Site is managed in the State of Washington, United States of America. Kudos 365 makes no representation that it operates (or is legally permitted to operate) in all geographic areas. Kudos 365 makes no representation that this Site or the services or information found through this Site, are appropriate or available for use in all geographic locations, and accessing this Site from territories where the content of this Site is illegal is expressly prohibited. If you view this Site and/or access the services from any country other than the United States of America, you acknowledge that you are doing so on your own initiative and you are solely responsible for compliance with all applicable laws. 7.3 Kudos 365 disclaims all responsibility for any loss, injury, claim, liability, or damage of any kind resulting from, arising out of, or any way related to: (a) any errors in or omissions from this Site and its content, including but not limited to technical inaccuracies and typographical errors; (b) any third party web sites or content therein directly or indirectly accessed through hot links in this Site, including but not limited to any errors in or omissions therefrom; (c) the unavailability of this Site or any portion thereof; (d) your use of this Site; or (e) your use of any equipment or software in connection with this Site. In no event and under no circumstances shall Kudos 365 or its Business, licensors or authorized representatives be liable to you or any third party for special, incidental, punitive or consequential damages (including without limitation any loss of profits, lost savings, or loss of data) arising out of your (or any authorized user’s) or any unrelated party’s use or inability to use this Site, or your (or any authorized user’s) or any unrelated party’s reliance or use of information, products or services provided on or through the Internet, or that result from mistakes, omissions, interruptions, deletions of files or other data loss, errors, defects, delays in operation, service or transmission or any failure of performance of this Site, even if we, or any of our authorized representatives, have been advised of the possibility of such damage and even if the remedies stated in these Terms and Conditions fail of their essential purpose. You agree that you will hold harmless Kudos 365, its officers, directors, employees, attorneys, licensors, customers and vendors from all claims arising out of or related to your access or use of, or your inability to access or use, this Site or other sites to which they are linked. If your use of materials from this Site results in the need for servicing, repair of equipment or data, you will assume any costs thereof. This Site and these Terms and Conditions may be changed by Kudos 365 with or without notice. Please review the Terms and Conditions on a regular basis for changes. Continued use of this Site following any change constitutes your acceptance of the change. These Terms and Conditions are governed by the laws of the State of Washington, U.S.A., excluding any conflict of laws, rules or similar principals, and the applicable laws, regulations and treaties of the United States of America. Any action arising out of any dispute with respect to this Agreement shall only be brought exclusively in the state or federal courts located in King County, Washington. You agree that the statute of limitations for any claim against Kudos 365 shall be brought within one year from when the claim arose, and any claims not brought within such period of time shall be deemed waived. These Terms and Conditions incorporate by reference any notices contained on this Site and constitute the entire agreement with respect to your access to and use of this Site. You agree that, if the terms of these Terms and Conditions are not specifically enforced, Kudos 365 will be irreparably damaged, and therefore you agree that it shall be entitled, without bond, other security or proof of damages, to appropriate equitable remedies with respect to any breach(es), in addition to any other available remedies. Materials available on this Site are protected by US and international copyright law. Copyright © 2009-2014 Kudos 365, Inc. All rights reserved. Listed below are trademarks for Kudos 365. Nothing contained on this Site should be construed as granting any license or right to use any Trademark displayed on this Site without the express written permission of Kudos 365, Inc., or such third party that may own the Trademark. Kudos 365 publishes selected posts which may be of interest to our audience, such as events, photography, art, business news, offers and prizes. Publication of copyrighted material (The “Material”) owned by somebody else (The “Owner”) is done by Kudos 365 in accordance with the guidelines shown below. 16.1 Published by Kudos 365. 16.1a Material posted by Kudos 365 will not be modified from its original form and will Include any watermarks or other marks placed by the Owner as well as a link to the Owner’s website if applicable. We have been given us specific permission to do so by the Owner. The Owner publishes the Material on www.Kudos365.com or on one of our Social Media pages; for example, Facebook or Twitter. The Owner sent the Material directly to us via email or other means. The Material is posted by the Owner on a social media site(s) which allows social media sharing unless there is a specific restrictive statement. The Material is published on a public forum and the terms and conditions of the publisher or forum allows us to re-publish it or link to it. Some conditions of the publisher may apply. Kudos is under no obligation to publish any Material even if it complies to one of the above Conditions. Kudos 365 allows individual members and businesses to post on www.Kudos365.com or on one of our Social Media pages; for example Facebook or Twitter. It is against our Terms and conditions to publish material for which the posting party has no rights to post. Kudos 365 does not review every post made by 3rd parties, however, Kudos 365 will remove any infringing material published on www.kudos365.com if notified and requested by the Owner. Posting is available to Individual members only. Businesses are not permitted to post on the Community Board. Businesses can post on the Kudos 365 Business News section under the Terms and Conditions of that section. Community Board postings are visible within a 50-mile radius from the center of the publishing member’s account zip code. Kudos 365 is not responsible for the content of any postings made on the Community Board by Members. Kudos 365 will cancel the membership of any Member who violates the Community Board Terms and Conditions. Professional and Amateur photographers who are kudos 365 individual members, are welcome to share their Photographic artwork with the Kudos Community by posting on the Around and About Photography Page. The Individual Members (Contributing Member) represent that the post contains their original Work or that he/she is authorized to post or share by the Work Owner. 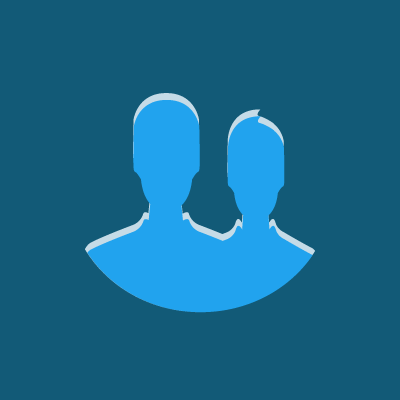 Contributing Members will be able to have a profile page in Kudos 365 where members and visitors will be able to see the Contributing Member’s public information and view previous postings. No commercial advertising is permitted other than as it pertains to the Work being posted or related services. Commercial advertising of products or services is a premium feature available to Signed up Business and displayed in the Business News section of the site. Kudos 365 is not responsible for the content of any postings made by Contributing Members. Content must be appropriate to the general audience. Postings that may be offensive or controversial such as politics, religion or of a sexual nature are not permitted. Remove any Contributing Member post(s). Cancel the Member Content Contributor Privilege. Cancel the membership of any Member. Kudos 365 Public Discussion Groups and Private Discussion Groups ("Discussion Groups") are provided free of charge to all Members. Public Discussion Groups are publicly available and are intended for subjects which may be of general interest to the Kudos 365 audience. Any Member can start a Public Discussion Groups and any Member may join in order to participate, post news, and comment. Private discussion Groups are intended for a group of Members who want to share information about a subject of common interest. Private Discussion Groups require an invitation to join and participate in the group from the Member who created the Private Group. The Group Invitations are sent via Kudos 365. Kudos 365 makes no warranties or guarantees that Private Discussion Groups will be inaccessible to the general public or to Members not invited to the group and should not be used to post personal or other information not meant for public disclosure. The private and public discussion groups are provided on an "AS IS" basis. Posting is at the sole risk of the Member. Posting is available to Individual members only. Businesses are not permitted to post in Discussion Groups. Businesses can post on the Kudos 365 Business News section under the Terms and Conditions of that section. No spamming group invitations is permitted. Kudos 365 is not responsible for the content of any postings by Members. Kudos 365 will cancel the membership of any Member who violates these Terms and Conditions. 20.1 If any provision of these Terms and Conditions is held to be illegal, invalid, or unenforceable, then that provision shall be fully severable from these Terms and Conditions and shall not affect the legality, validity, or enforceability of the remaining provisions of these Terms and Conditions. 20.2 Failure by Kudos 365 to enforce any particular term of these Terms and Conditions shall not be construed as a waiver of any of our rights hereunder. 20.3 These Terms and Conditions have been written in the English language and the English language shall control. These Terms and Conditions, which are in English, shall be interpreted in accordance with the commonly understood meaning of the words and phrases in the United States of America. You waive any right that you may have under local law to receive these Terms and Conditions in any language other than English. Send us an email to customer service, or give us your feedback by using the feedback tab to the right.